BBG BC Automatic Doors are an independent automatic and manual door specialist company based in Richmond. We are committed to providing a personal, professional and reliable service to the Northwest area. With a fresh approach to the maintenance and repair of aluminium and glass entrance systems. 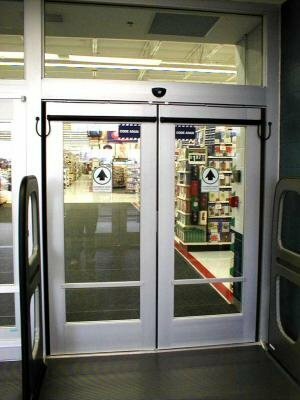 Offering planned maintenance and repair of automatic doors, manual doors, stand alone access control systems, panic hardware, floor springs, door closers and locks. We are a growing business with fully qualified and manufacturer trained engineers with BS7036 and EN16005 accreditations. 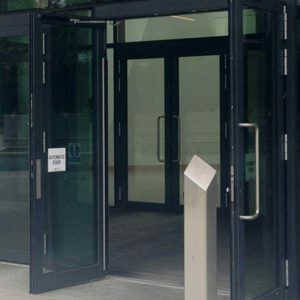 With over 20 years’ experience in the automatic door industry, we pride ourselves in doing the job right first time. As a fully insured and VAT registered company, we offer a comprehensive, reliable and professional service to those shops, restaurants, hotels and business premises within the northwest area. With competitive prices all of our work is guaranteed and professional references are available on request. They can be set up in a variety of ways including ‘fully automatic’, ‘low energy’ and ‘push & go’, and can be fitted with emergency battery back-up and break out facilities. Our swing operators can be fitted to single or double swing doors and can be mounted on the lintel or directly onto the door leaf.